Effective training is about more than checking a box. That’s why we are the only training provider who shoots all of our own footage, in Hollywood, with studio-quality lighting, acting, and camera work. We go beyond compliance to produce award-winning training, year after year, that address the subtleties of the real world engages learners, and effects lasting change. This course exceeds the standards established by New York’s Model Sexual Harassment Prevention Training released in October 2018. Use this program to improve overall behavior, encourage communication, and help create a workplace that is respectful, productive—and harassment-free. *2019 Compliant* Kantola’s latest and greatest interactive eLearning combines our high-quality video with interactive exercises and thought-provoking questions that guarantee engagement throughout the course experience, designed to keep user attention with realistic examples, variety, and unexpected twists. *2019 Compliant* Exceeding the standards established for California, This video-based course keeps employees engaged with realistic examples, variety, and unexpected twists. California employees will learn essential skills to create a harassment-free and civil workplace where all can thrive. Use this program, available as an online video or on DVD, to improve overall behavior, encourage communication, and help create a workplace that is respectful, productive—and harassment-free. This Manager's version features a sequence of original stories that convey important training points as seen through the eyes of the participants. Use this program to improve overall behavior, encourage communication, and help create a workplace that is respectful, productive—and harassment-free. Based on our award winning video, this online or LMS-based interactive eLearning course adds exercises, games, and thought-provoking questions designed to keep users engaged with realistic examples, variety, and unexpected twists. Includes versions compliant with California, New York, and other state-specific regulations. 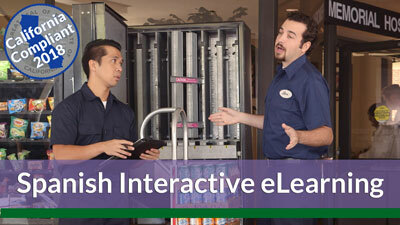 Interactive eLearning combines our high-quality video with interactive exercises and thought-provoking questions that guarantee engagement throughout the course experience, designed to keep user attention with realistic examples, variety, and unexpected twists. This release for California Managers features a sequence of original stories that convey important training points as seen through the eyes of the participants. Use this program to improve overall behavior, encourage communication, and help create a workplace that is respectful, productive—and harassment-free! This release features a sequence of original stories that convey important training points as seen through the eyes of the participants. Use the Spanish version of this program to improve overall behavior, encourage communication, and help create a workplace that is respectful, productive—and harassment-free! This Manager's version features a sequence of original stories that convey important training points as seen through the eyes of the participants. Use this Spanish-dubbed program to improve overall behavior, encourage communication, and help create a workplace that is respectful, productive—and harassment-free! 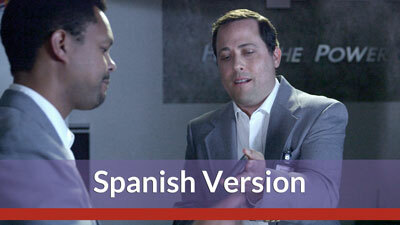 This release for Spanish-speaking California Managers features a sequence of original stories that convey important training points as seen through the eyes of the participants. Use this program to improve overall behavior, encourage communication, and help create a workplace that is respectful, productive—and harassment-free! 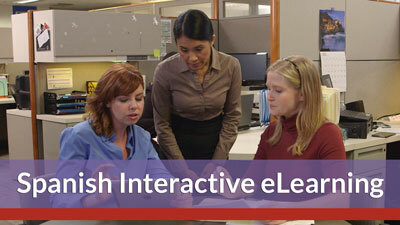 Connecticut-specific interactive eLearning combines high-quality video with interactive exercises and thought-provoking questions that guarantee engagement throughout the course experience, designed to keep user attention with realistic examples, variety, and unexpected twists. With the goal of ensuring workplaces free of sexual harassment, the State of Maine has specific requirements for both manager and employee notification, posting and training. 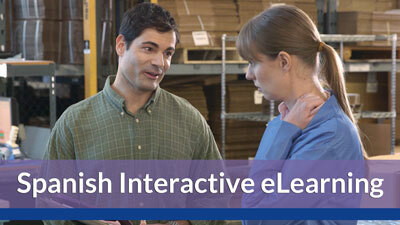 Interactive eLearning courses help you meet these requirements. 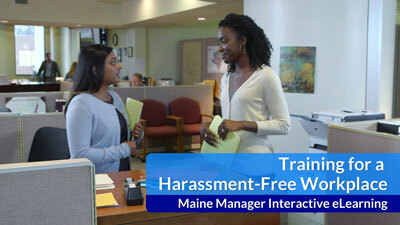 With the goal of ensuring workplaces free of sexual harassment, the State of Maine has specific requirements for both employee and manager notification, posting and training. Based on our award winning video, the Spanish versions of our interactive eLearning course adds exercises, games, and thought-provoking questions designed to keep user attention with realistic examples, variety, and unexpected twists. eLearning courses come with a downloadable reference guide for each user and can be customized with your own company policies. The Spanish version of our interactive eLearning course combines our high-quality video with interactive exercises and thought-provoking questions that guarantee engagement throughout the course experience, designed to keep user attention with realistic examples, variety, and unexpected twists. eLearning courses come with a downloadable reference guide for each user and can be customized with your own company policies. Use this program, modified for Canadian law and available as an online video or on DVD, to improve overall behavior, encourage communication, and help create a workplace that is respectful, productive—and harassment-free! This Canadian manager's version features a sequence of original stories that convey important training points as seen through the eyes of the participants. Use this program to improve overall behavior, encourage communication, and help create a workplace that is respectful, productive—and harassment-free! 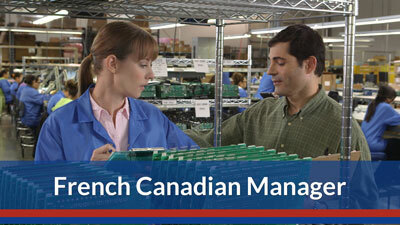 This Canadian manager's version, dubbed in French, features a sequence of original stories that convey important training points as seen through the eyes of the participants. Use this program to improve overall behavior, encourage communication, and help create a workplace that is respectful, productive—and harassment-free!